Fundraiser by Marcie Barth : Help to Fund Our Rental Space is Needed Now! Help to Fund Our Rental Space is Needed Now! 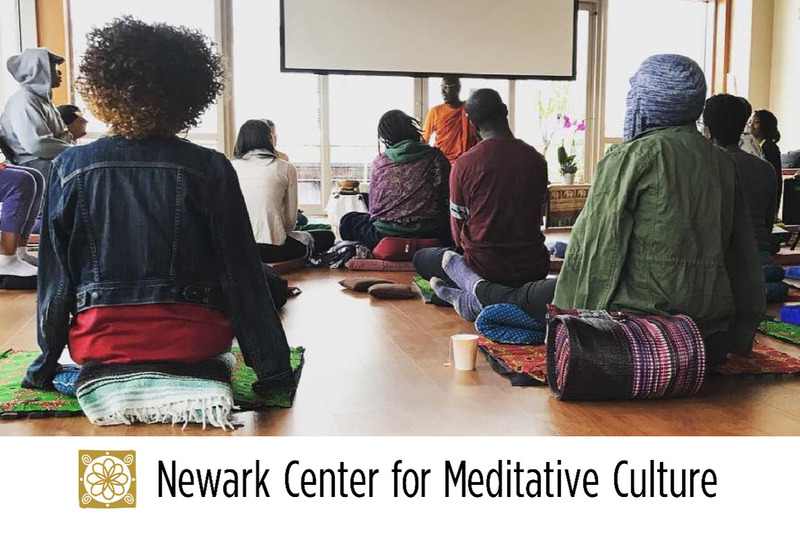 Can you help us to spread the much-needed Practice of Meditation in Newark, NJ with Newark Center for Meditative Culture? We need your support right now to secure our rental space and to advance our programming! We are excited to now have a commitment for a rental lease of rooms in a landmark building in a central downtown location near Military Park, Newark, NJ. What we need immediately is the funding for at least 1-1/2 years of the lease, approximately $10,800, in order to develop a community that has a continual place to meet. See our Full Business Plan . 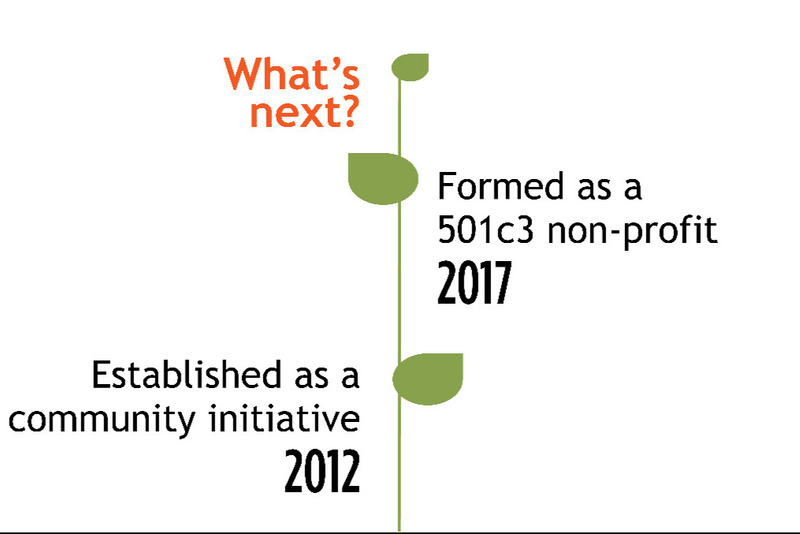 Over the past six years, NCMC has presented close to 300 life changing, health promoting, and self-empowering programs within the context of the socially engaged, multi-cultural, and diverse population of the Greater Newark Area. Publishing of 2 Books: Buddhist Dharma Book and Meditation Manual. 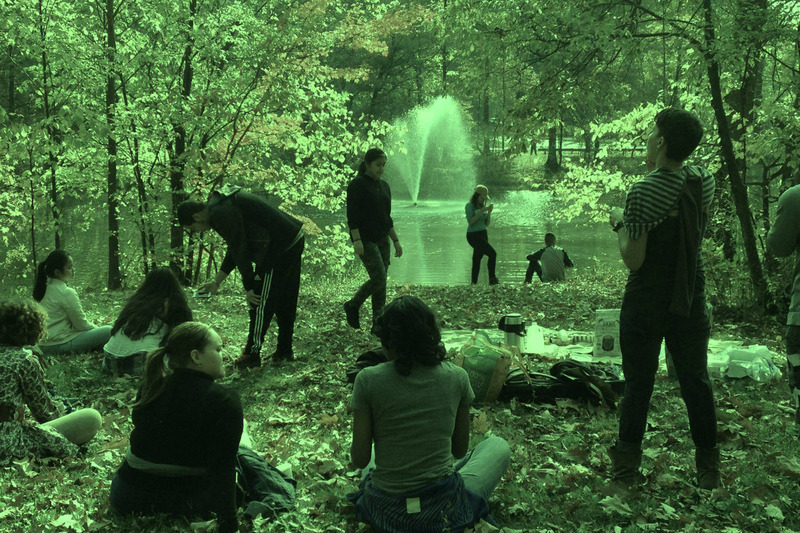 To be a safe place where like-minded people can gather in order to practice the fundamental meditation methods of tranquility, insight, healing, and loving-kindness (metta), and to become engaged together in conscientious, compassionate, and contemplative activities as a group and in the local community. Diversity/Expansiveness: We offer both general programs and pin-pointed programs for specific affinity groups of people and surrounding issues. For example, our People of Color retreats especially are intended to provide an affinity group for individuals who daily confront the effects of oppression and racism, and who therefore may initially choose to avoid mixed programs. Inclusiveness: All of our programs are offered as donation-based no-fee or free to the participant. We base this system on the practice of dana or generosity, which is inherent to many spiritual traditions. Your donations will allow us to continue to provide life enhancing programs to the entire community regardless of their present economic circumstances. 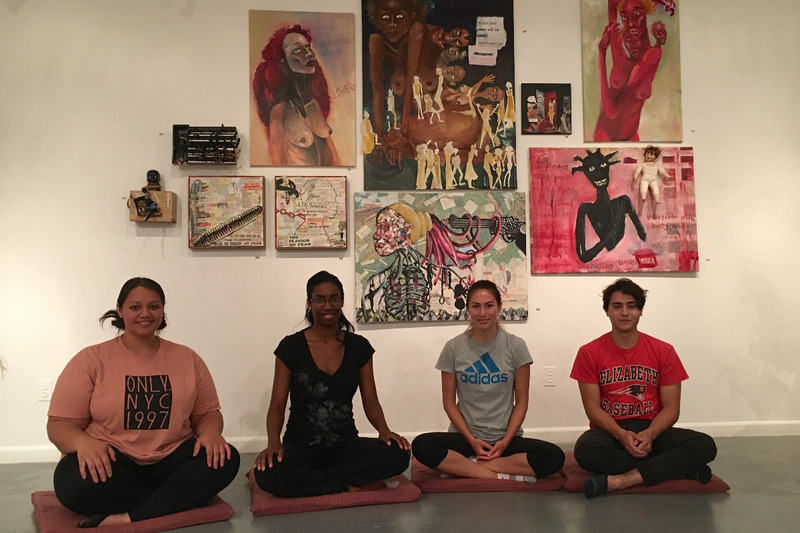 Artisan Collective - Barat Foundation - Bateman & Associates - Greater Newark Tennis & Education - Hikeolution - I’m So Yoga Newark - Ironbound Community Corporation - Newark LGBTQ Center - Newark Museum - Newark Yoga Movement - NJPAC - Rabbit Hole Farm - Sis & Bro Foundation. Rutgers Law School - Louise A. Spencer Community School - Technology High School. Million March NYC - Buddhist Global Relief NYC Walk to Feed the Hungry - 300.org People’s Climate March - Clean Energy Walk Phila. (w/NJ group) - Buddhist Council Meditate NYC & Peace Lantern Festival. Index Art Center - City Without Walls Gallery - Seed Gallery - Military Park Partnership - Ironbound Community Corporation (current). 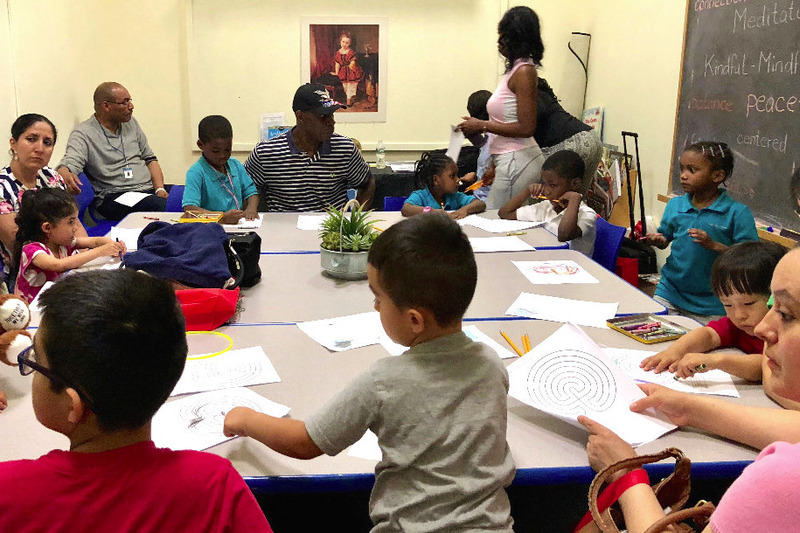 Our most important funding requirement is for the rental space, so that we can develop our programs without the pressure of worrying about rent. We need to retain a rental space for at least a two-year lease in order to develop a community that has a continual place to meet. Please check out our full 2019 Business Plan for the full scope of understanding our plans and an in-depth report on our work. What do we hope to do in the near future? • establish a community of practice that includes volunteers practicing generosity who love meditation or being around meditators and understanding our purpose. So you can see, we need your help in funding! Can we take a little more of your valuable time to relate some student stories to help you understand the need for NCMC? One young lone meditator came to us once and scuffled shyly into the art center where we were holding our meditation session. He said “I can’t believe I’m in here, I never thought I’d be in a place like this.” He also said he had imagined how nice it would be to meditate outdoors in a park — and his dream came true! We sit in the park in the summer! = Exposure, safe place, non-judgement. 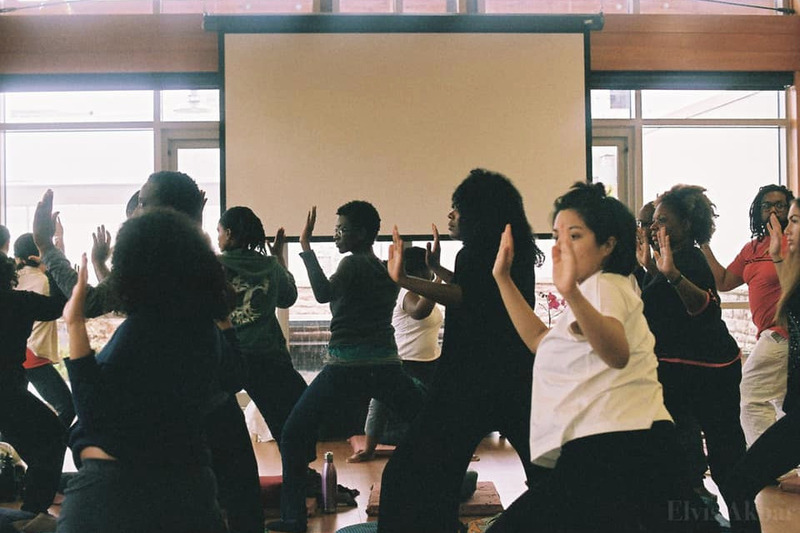 At one of our recent People of Color Retreats, one student described how wonderful it was to “meditate with people who look like me” as she was used to having to go to meditation centers that were mainly populated by white folk. = Diversity, like-minded, like-color, multi-color, comfort. = The more group sessions we can hold, the more opportunities for people to show up. 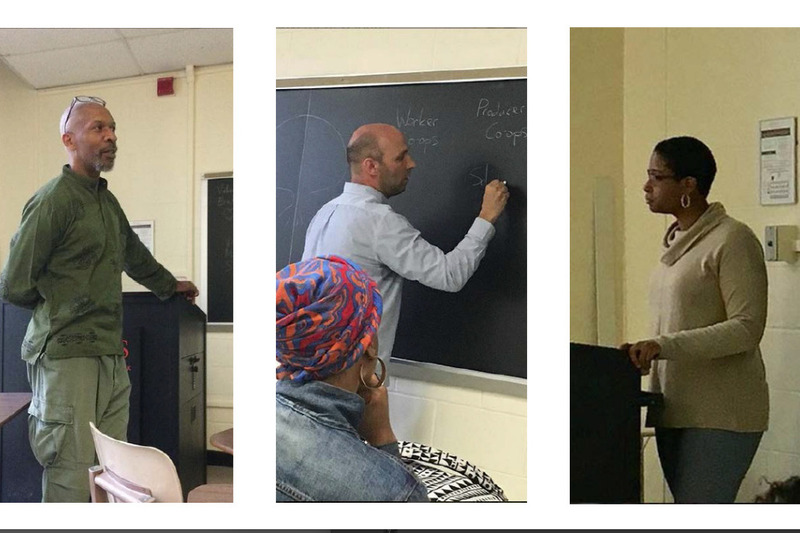 Three seasoned public school staff members in Newark have come regularly and felt the positive results of continual practice. They’ve asked us mature questions about how to relieve their stress as they watch their students in difficulty and are immersed themselves in co-worker conflicts. One found results in walking meditation, another in sitting meditation, and another more in the continual probing that her new mindfulness brings. = De-stressing techniques to help through work-related stress. 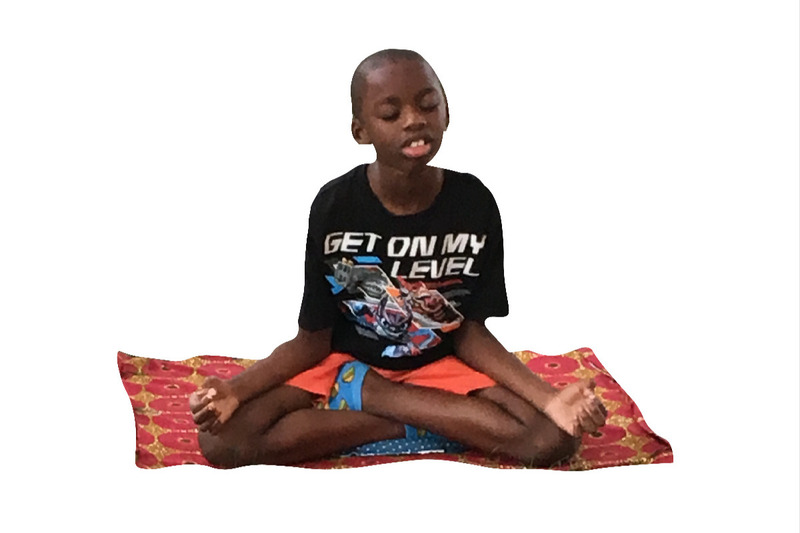 = Helping to build confidence and support potential meditation and mindfulness teachers. We hope that these stories give you an idea of some of the reasons we think the development of a meditative culture in the Greater Newark Area is as vital and important a cause as we do. Do take the time to look at our website to get to know us even better at www.newarkmeditation.org. Can you please share our story with your network of like-minded mind-loving friends who might support this cause? Thank you again for your time. 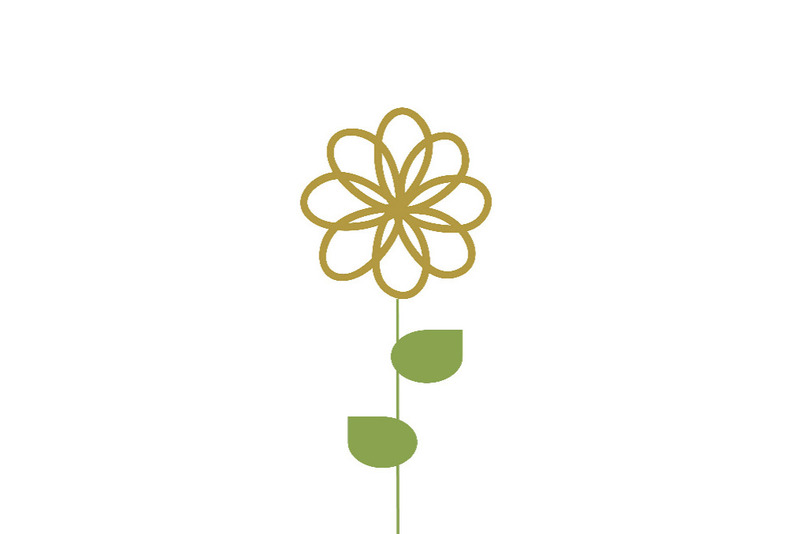 We hope you will consider donating now to help our work to get to the next level and blossom.